Molecular systematics and historical biogeography of the slender stonebasher, Hippopotamyrus ansorgii, species complex (Teleostei, Mormyridae) in the Zambezi and adjacent river systems. The idea that paleo-drainage history shaped the contemporary distribution patterns of extant freshwater fishes has been expressed by many ichthyologists and evolutionary biologists. This is because the impassable terrestrial environment and the physiological barrier posed by the marine habitat limit range expansion of obligate freshwater fishes. The distribution of such species is thus expected to reflect the drainage history of the river systems in which they reside. The southern African region experienced a complex history of tectonic events, which resulted in connections, and isolations of several river systems in the region. The up doming of the Paraná plume during the early Cretaceous (~120 Mya) initiated the formation of the Okavango, Kwando, upper Zambezi, Kafue and Luangwa rivers which all formed to the headwater tributaries of the paleo-Limpopo River system. During this period, the lower Zambezi existed as a separate coastal river. By the end of the Cretaceous (~ 70 Mya), the Proto-Zambezi was broken by uplifting along the Okavango-Kalahari-Zimbabwe (OKZ) flexure separating the Limpopo from its headwater tributaries which in turn formed a large endorheic system in the Kalahari Basin. Further tectonic movements along the OKZ flexure during the Oligocene (30 Mya) initiated aggressive head ward erosion by the lower Zambezi resulting in the capture of the Proto-Luangwa and subsequently the middle Zambezi at the Cahora Bassa gorge. Throughout the Neogene (25-5 Mya), the middle Zambezi progressively eroded head wards eventually capturing the proto-Kafue and the upper Zambezi in the Pleistocene thus establishing a profile similar to the present day Zambezi. Contemporary distribution patterns of a number of freshwater fishes which occur across several isolated southern African river systems, for example Hydrocynus vittatus, Heterobranchus longifilis, Mormyrus longirostris and Entoromius bifrenatus, E. mattozi and Labeo ruddi, have been traditionally explained by the complex historical drainage rearrangements mentioned above. There is however need for phylogeographic studies to explicitly test the role played by these past events in driving diversification and shaping contemporary distribution patterns of riverine biota. Until only recently, Hippopotamyrus ansorgii was thought to be widely distributed across several isolated river systems in southern African, with its range extending from the Cuanza, Cunene, Okavango, Kwando, Upper and Lower Zambezi to the Pungwe and Buzi River systems. However, recent DNA-based studies and analysis of electric organ discharges have indicated that H. ansorgii is a species complex containing at least seven lineages or morphs. 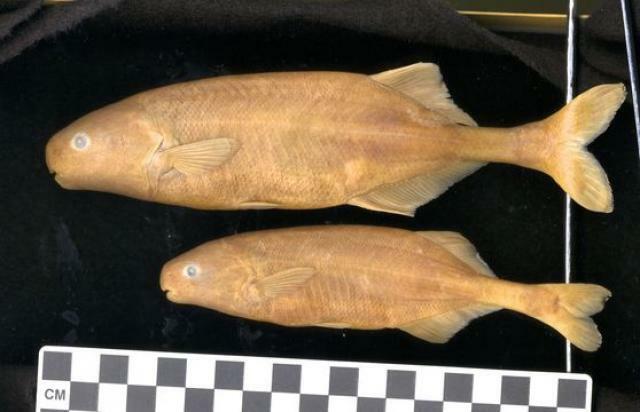 Two new species, H. szaboi and H. longilateralis have been recently described following these studies. The broad distribution pattern of the H. ansorgii complex across southern Africa provides a unique opportunity to test the role played by paleo-drainage river systems in shaping the distribution and diversification of freshwater fishes in the region. The aim of this study is to: (i) test the extent to which the described geological events drove genetic divergence and shaped the contemporary distribution patterns of the disjunctly distributed H. ansorgii complex, and (ii) use an integrative approach (morphology, genetics and Electric Organ Discharges), to identify and describe new species within the H. ansorgii complex.